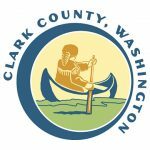 Welcome to Clark County Prayer Connect! Clark County Prayer Connect is a network of followers of Christ encouraging more, better, united, strategic prayer by and for the people of Clark County. Prayer Events: Click HERE to visit our Prayer Events page and learn more about how you can be a part of these events in Clark County. Mission, Motivation, and Method: Click HERE to learn about CCPC’s mission, motivation, and method. If you’re a follower of Christ in Clark County, and especially if you’re a pastor or a prayer coordinator, we need you to join us! Please contact us for more information. We must do more than pray. But we can only do more than pray after we have prayed.